Whenever we’re visiting a new place, we like to try unusual or local restaurants. 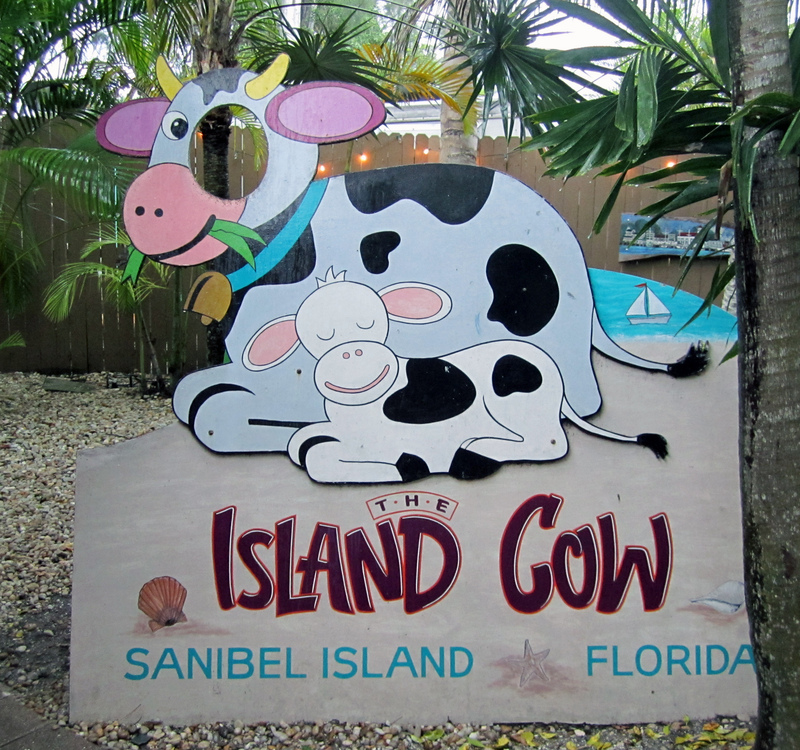 Every time we visit Sanibel Island, we make it a point to eat at The Island Cow. 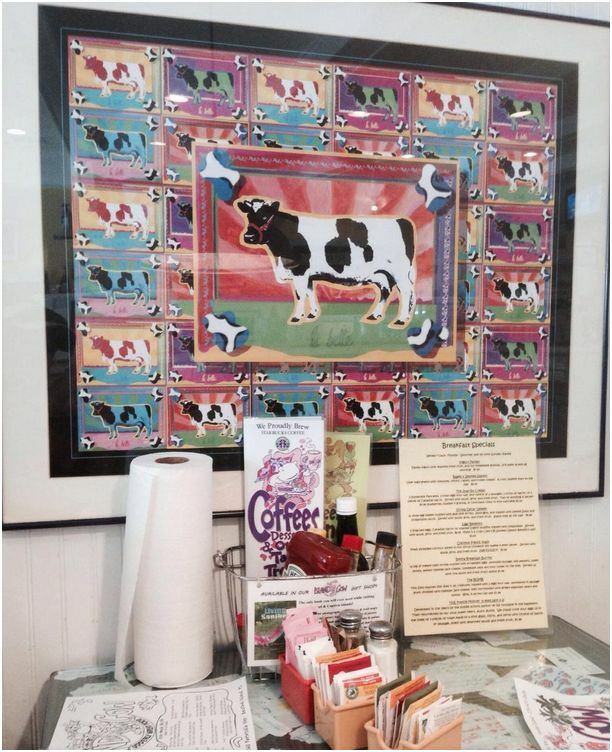 We like everything about this casual, beachy, cow-themed (hence the name) eatery. My husband always says this place makes him feel happy! The menu here can only be described as extensive with items such as Seafood Fajitas, Steak and Cake (NY strip steak and their famous crab cakes), Moolicious Meatloaf, and Po’ boys. Let’s not forget the extensive breakfast menu, and the appetizers, soups, salads and desserts! 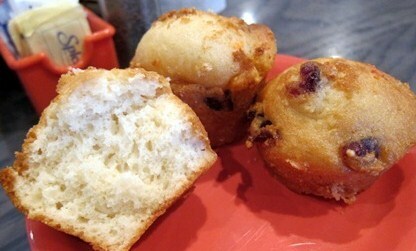 We love to start with the basket of muffins they put on your table. They are really yummy, but don’t overdo it, you want to make sure you have room for the main dish. Then choose how you want it prepared, however you want from broiled to barbequed, and then pick sides like cheese grits, island yellow rice or hush puppies. 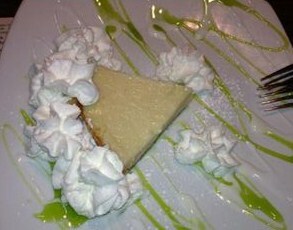 Whatever you eat, make sure you leave room for their famous Key Lime Pie, one of the best I’ve eaten in Florida! 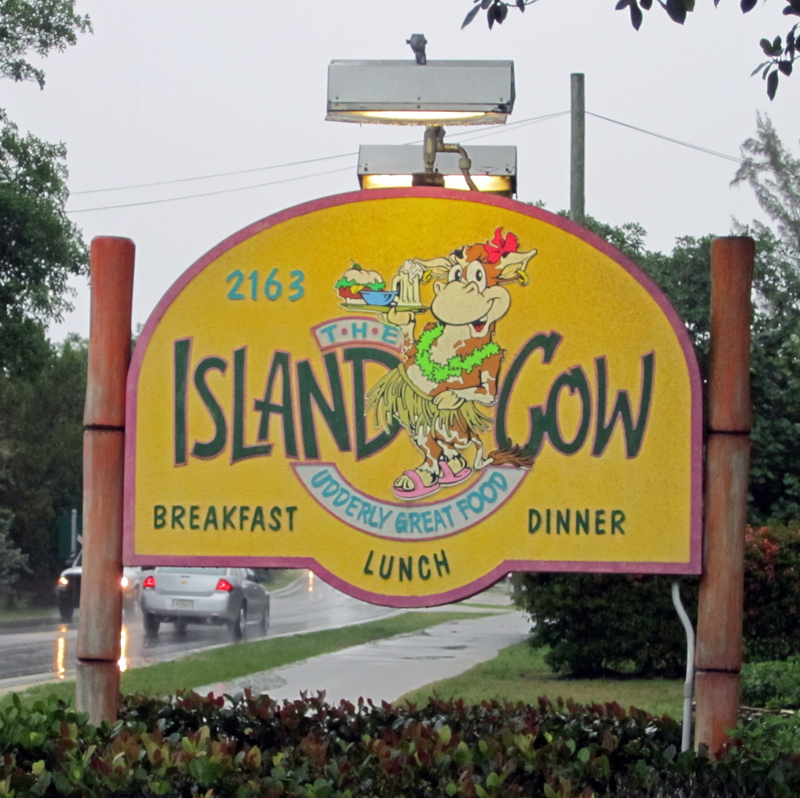 The Island Cow is right in the middle of Sanibel on Periwinkle Way. Be prepared to wait a bit for a table, the place is usually quite busy, especially during the high season. However, the service is pretty good and fast, and if you get tired of waiting, there are plenty of games, activities and photo-taking opportunities available while you pass the time. 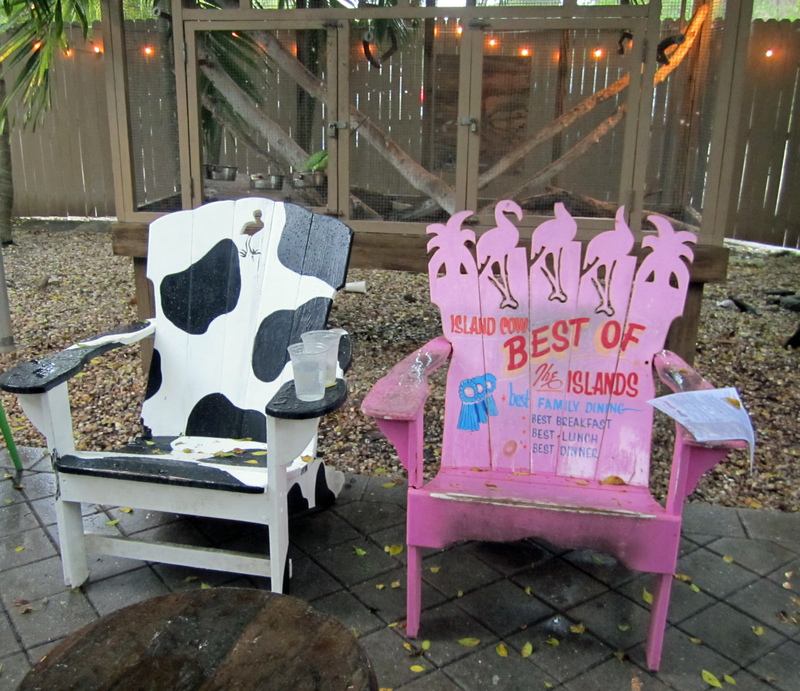 Have you ever been to The Island Cow…and if you have, what has been your favorite dish? This looks like a fun place to visit. The food in the photos looks amazing. If i am ever in the area i will try it for sure. I would definitely love to eat there! I love the quirky places that have unusual things and are out of the ordinary. Yes we love it too and visit often. Definitely have a meal here, I think you’ll really enjoy it! That place has so much character! We try to always eat at local places on vacation too. It adds to the experience for sure. I love keylime pie! Their decor is just fab too! Not high end and put-off-ish! Exactly, it’s a real family friendly place, where you can just relax! This place looks like a cute and fun place to visit. That key lime pie looks delish. I’m not to far from there. 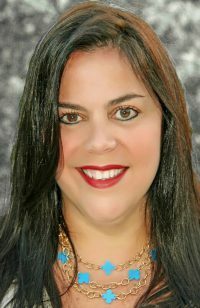 I’ll have to tell my husband it looks great and we are always looking to try new non chain restaurants. What a fun place! 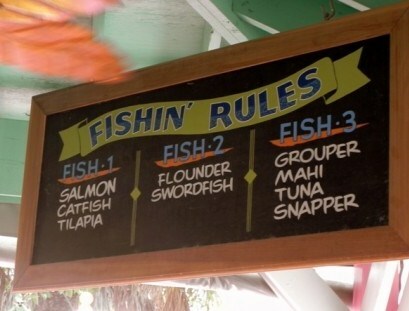 Will definitely visit when I take a trip to Sanibel. Thanks for sharing! the place looks really great indeed also fun looking best for families to have something to eat! This restaurant is so cute! I’d love to visit one day! 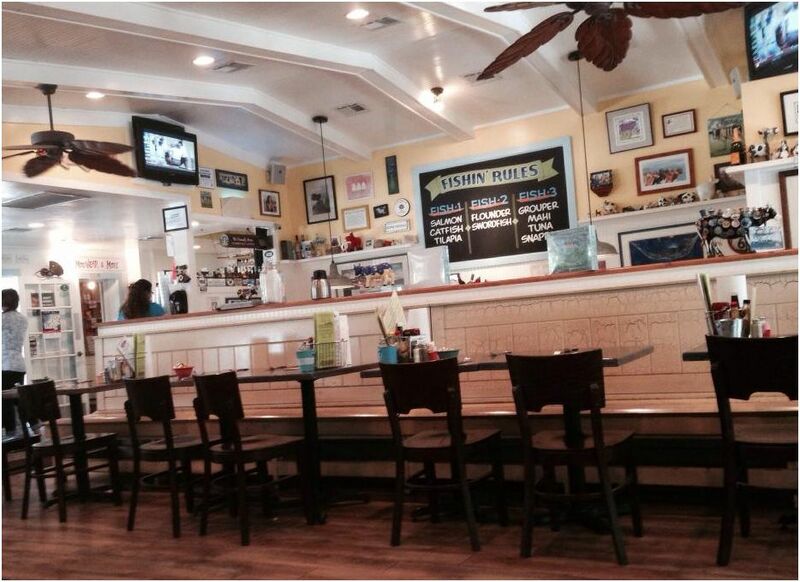 jaha This definitely looks like BB’s kinda place. Colorful, comical & Key Lime Pie. Oh Yeah. Me gustó el lugar, buena sugerencia y la tendremos en cuenta en nuestras próximas vacaciones. 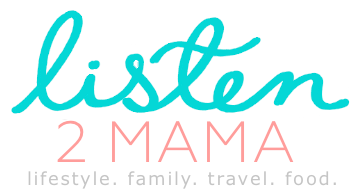 This place looks so cute and fun and YUMMY! we do a lot of Florida trips and visit all over the state when we go to Clearwater. I’ll have to add this to my road trip list! 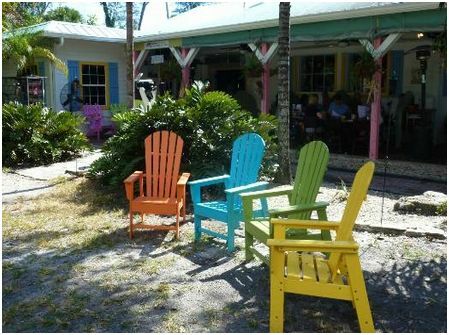 We will definitely try this place if we ever make it to Sanibel!